Please wrap your presents and make this fun! HO! HO! HO! 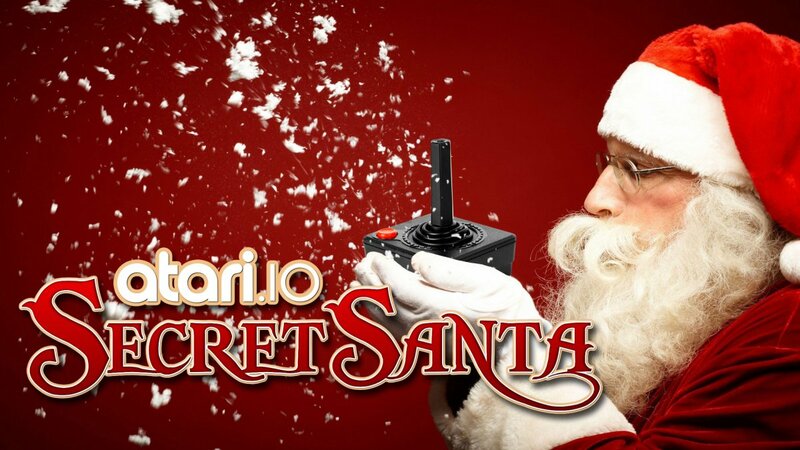 It's time for our 4th Annual Atari I/O Secret Santa! If you'd like to be part of Secret Santa this year please respond below saying that you'd like to participate! Please include a link to your Want List in your post or a list of game systems you collect for along with any other wishes that your Santa can help make come true. We're starting late this year due to the forums upgrade so time is short to sign up! The last day to sign up is Friday, November 30th, 2018. Names will be impartially selected and we will send you a PM with your Secret Santa information no later than Monday, December 3rd, 2018. Have your wishlist ready to go. 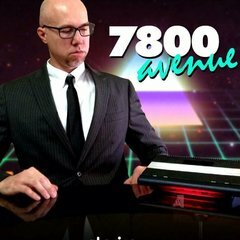 You might also want to include a list of general interests (Atari 2600, NES, Baseball Cards, Comics, Flashback consoles, a new watch). Time is tight and you might not get something super specific on your list if it's hard to find. Making broader suggestions may help give your Secret Santa a good idea. The presents you send should be gift wrapped. We really want this to feel like something special! However, it would be okay to send an item without gift wrapping if you were ordering from an Atari vendor, Amazon or eBay and wanted to have it shipped directly to your person's house as opposed to paying twice for shipping. We encourage you to gift wrap your presents when possible. We love creating magical holiday memories for our friends in the Forums. We're like a small town here, a warm community of friends with shared interests. For some of us who may have to sacrifice to make a special Christmas for our families, this may end up being the only presents we get to open. If you'd like to participate in Secret Santa this year but may not have the means, please send me a PM and we will try to find a way to help. Sign up by Friday, November 30th, 2018! Count me in this year! That's AWESOME buddy, you got it! ? I'll put together a special "want list" for this by the 30th. That's always a good idea. Or listing things you're generally interested in.. certain consoles, models, old movies etc. helps your Secret Santa pick out a gift that you might like. I will send ya something tomorrow bud. I'm happy to have you send it to me privately but feel free to post publicly. I would be happy with anything to be honest but here are some specific things I am looking for. Games, any. I only have Beamrider and Dracula. Looking to grow that collection for when I pick up a console again. Kenner T-800 from 1991. Building an army and have 5 so far. Super Naturals figures. Mainly the Ghostlings but any figures from that line is great. Always love this time of year, count me in! I also am into old, handheld games, unless I reviewed them already. Star Wars, Star Trek, or The Simpsons toys, figures, ships....whatever. Regional candy from your area. I think this would be kind of fun. Example, Clark bars if you live in Pittsburgh. The stuff you can only find local to you. Pins, magnets - retro, pop-culture, kitschy. Or those retro gaming tin signs. No funko pop please (I think I'm the only person in the USA that doesn't care for those things). Something very specific - a PS2 console keychain. Any of those mini-arcades as long as you think they are good. I don't want to be difficult, so please let me know if I need to expand this list to be easier. I will be messaging all of you with your Secret Santa info no later than Monday evening. If you haven't posted your wish list yet or shared a link to it in the forums, now would be a good time to let us all know what you want this year! Remember, gifts should have a value around $30 and need to arrive by Saturday, December 22nd, 2018. Ho Ho Ho! Dude you're the ultimate secret Santa all year round! Toy Tomb videos feel like a gift. Merry Holidays, Willie! Is everybody's mailing address the same as it was last year? If you've updated your mailing address or have moved please send me a PM with your new address. Thanks! Mine is the same, if you dont have it let me know. 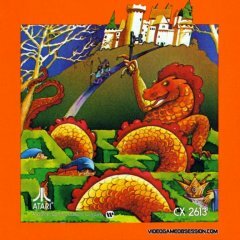 Any boxed atari games I dont have already. Ok so here are the boxed atari games I have so far.